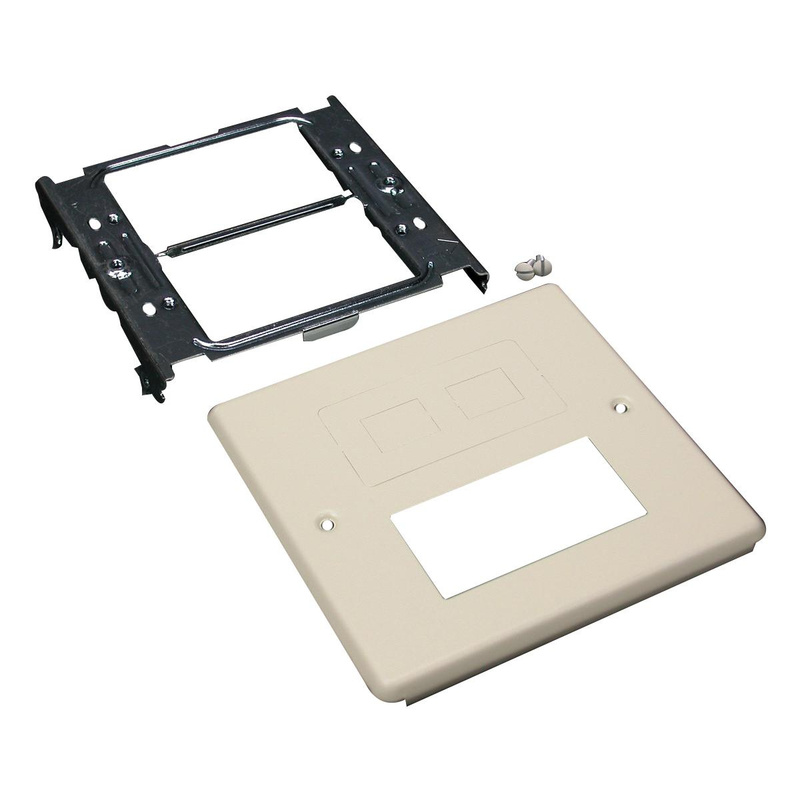 Wiremold 2-Gang Rectangular opening overlapping cover in gray color, features steel construction for longer endurance. It measures 4-3/4-Inch x 5-1/8-Inch. This cover is suitable for use with 4000® series multiple channel raceway. It accepts rectangular GFCI, surge & decorator style devices, modular furniture adapters and RJ45 jacks. Cover is UL/cULus listed, ADA/RoHS compliant and meets NEC/CEC standards.